Amelia Ann Hollins might have been raised to be a sweet magnolia, but she’s found her inner fire—the quest for justice. The secrets she carries and a tragedy from her past prompt her to volunteer at a legal clinic in the worst part of town. Here she can serve and protect the one she couldn’t save. Here she will risk everything. Although not my usual genre,after reading the first book I was hooked! I couldn't put it down & when finished couldn't wait to start the next one. 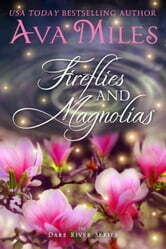 Yes it is a romance series but includes domestic violence against women & is written very tastefully. The series is about love & overcoming obstacles with some very strong female characters & isn't overly racy! Keep up the great work Ava Miles! Love this! Such a sweet, soft love story. The strength of everyone is great. Don't pass any of this series up, you won't regret it! This book is a tear jerker from beginning to end! Amelia Ann has secrets! Secrets she keeps from her family and from Chandler, who she has loved for years. She knows they will eventually come out, but what she doesn't know is what will happen when everyone know the truth. Will love rule over the truth or will she be disowned like Rye was for years? The secondary story line involves domestic abuse and the importance of making the public aware. The multi faceted issue affects so many, the abused spouse or partner, child(ren), family member, employer, etc. We must continue getting the message out to assist those affected recover! Well done! What is there left to say. Ava Miles wound a beautiful, heartfelt story around a very difficult situation. Make sure you have lots of tissues handy for this story about a family healing and how love really does conquer all difficulties .